The Student Impact Fund can support student organizations who lead off-campus projects that address an identified community need. 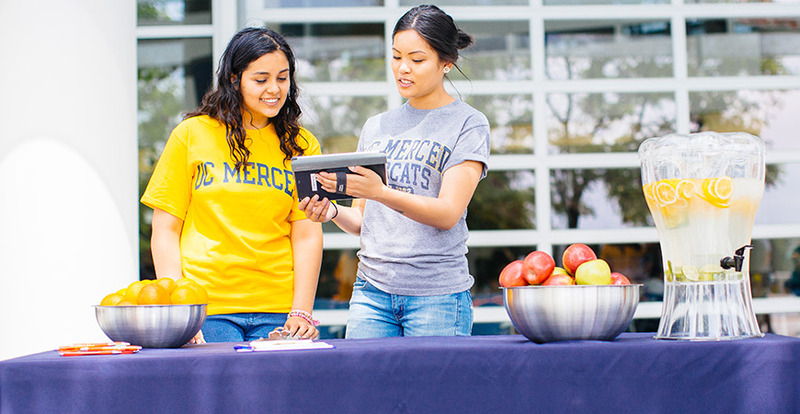 During this year’s Give Tue UC Merced annual 24-hour campaign of giving, participants will have more options to which to direct their support, including a new fund that assists with the emerging and unique needs of student groups as the campus grows. 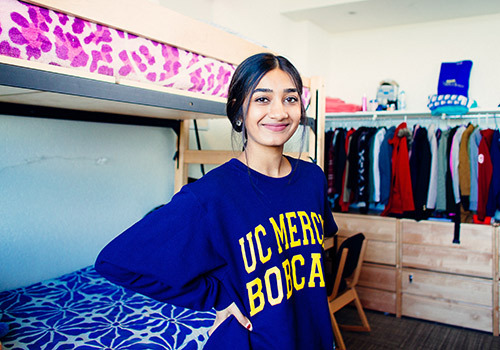 The Student Impact Fund (SIF) — established by the University Friends Circle this year — is a strategy for raising and providing funds for flexible, responsive and sustainable efforts to help UC Merced students and student groups. Using the new fund, UFC can grant a Community Service Organization Award to a UC Merced student organization whose members plan, lead and execute an exemplary off-campus project that addresses an identified community need. UFC also plans to use the SIF to provide “move-in” bags filled with bed sheets, towels, toiletries and other critical items for foster youth in the Guardian Scholars program. The University Friends Circle found a new way to assist the unique needs of student groups as the campus grows. The UFC was formed in 2008 to bring faculty and staff members, campus leaders and community supporters together to enhance strong relationships between UC Merced and communities of the Central Valley through programs that promote social and intellectual interaction and fundraising initiatives that support UC Merced students. University Friends Circle is open to anyone who supports the mission and activities of the organization. UFC members, including every board member, have already given more than $5,000 to the SIF since it was approved by the UFC board in September. The SIF will complement the UFC Scholarship Endowment Fund. In 2017, the UFC gave four scholarships to students involved in community service. Last year’s Giving Tuesday fundraising efforts pushed the UFC scholarship endowment near the $400,000 mark. To donate to the UFC Student Impact Fund, UFC Scholarship Endowment Fund or other areas, visit givetue.ucmerced.edu beginning at midnight EST Tuesday, Nov. 28. We wanted to complement our traditional scholarship efforts with a new initiative to meet unique and evolving needs of students and student groups as the university grows.